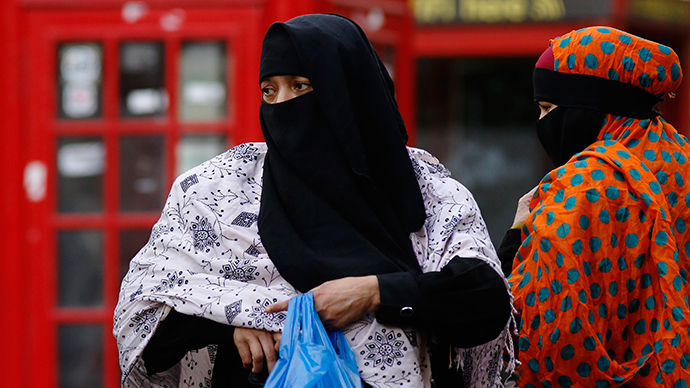 ​#PeopleNOTpolls: Who will British Muslims be voting for in #GE2015? Against a backdrop of foreign wars, UK support for Israel and repressive Gulf States and the trimming of civil liberties in the name of national security, it is unclear which party best represents the interests of British Muslims. In April, a noted Muslim human rights campaigner blasted the state of British electoral politics. Cerie Bullivant of the advocacy group Cage said: “My personal belief is you are voting for the wolf that is going to eat you and that is a sad state of affairs. However, not all British Muslims see the British democratic system as exhausted. Salma, a Muslim ophthalmologist from London, told RT one of the emerging parties, as opposed to the long established Labour and Conservative parties, had drawn her attention. She said that foreign policy – specifically recent events around the Israel/Palestine conflict – had highlighted for her the problems with electoral parties at home. She drew attention to the Muslim foreign minister, Baroness Warsi, who resigned over her party’s stance on Gaza. Salma reiterated a traditional attachment among Muslims to the Labour Party. “I would say more Muslims would vote Labour, as their MPs have the largest outreach with Muslims. In recent decades, however, generational loyalty to Labour among the Muslim community has been shaken, particularly amongst the young. “The elders in the community generally stayed loyal. Meaning the party members. But it also meant loads just didn't vote,” said Baig. Asked if there was a party capable of catering to the specific needs of British Muslims, Baig pointed to his own working class background. “Don’t think that is possible. [I] can't see it in those terms,” said Baig. “A lot of people I know in inner city Brum [Birmingham] just don't vote. Some whose relatives are standing in elections. While he felt no party ticked all the political boxes, there had been individuals who had garnered support. Echoing Bullivant’s view, Baig maintained that the problem is systemic rather than ethnic. Share your thoughts with RT with the hashtag #PeopleNOTpolls.